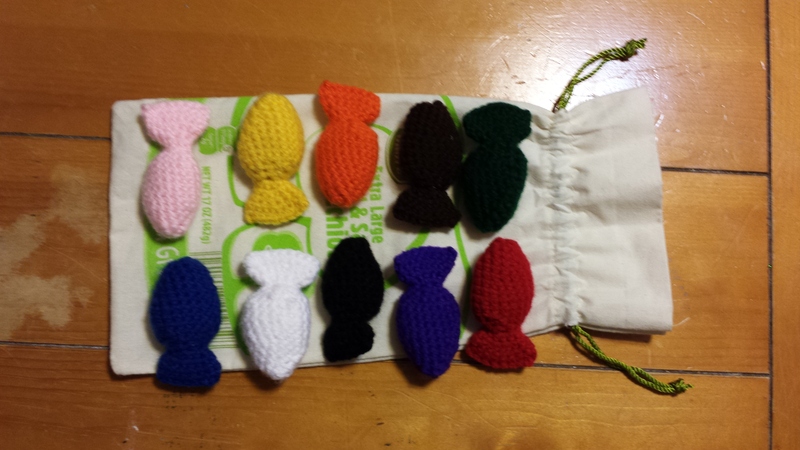 Finally, I am ready to share what I made for Christmas this year! You can click on any of the pictures to see them larger, but I don’t really recommend it. My pictures are always fuzzy in large sizes. 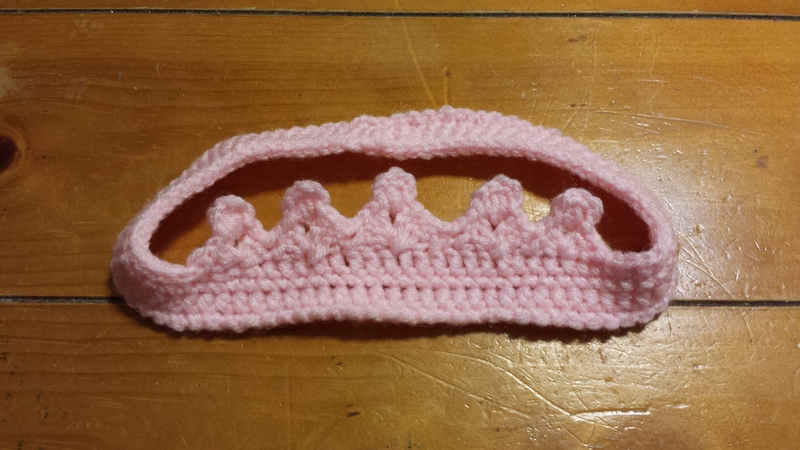 A princess crown for a toddler niece. Pattern on ravelry. 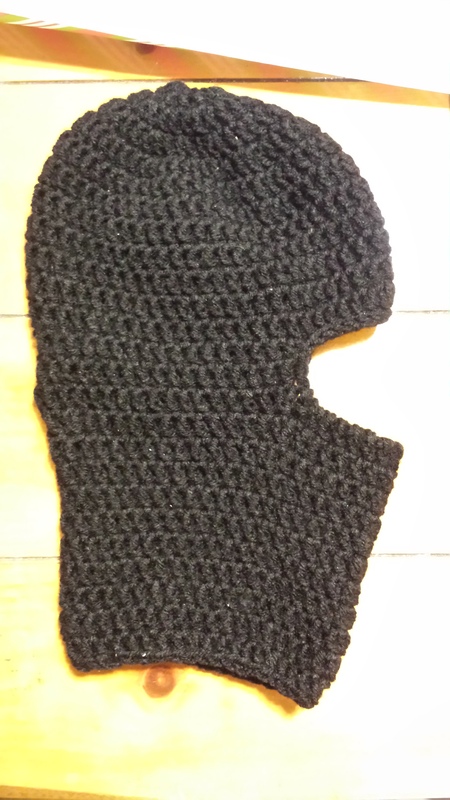 A ninja/ski mask for one of my nephews. Unfortunately, it came out too small and I’ll be redoing it this week. 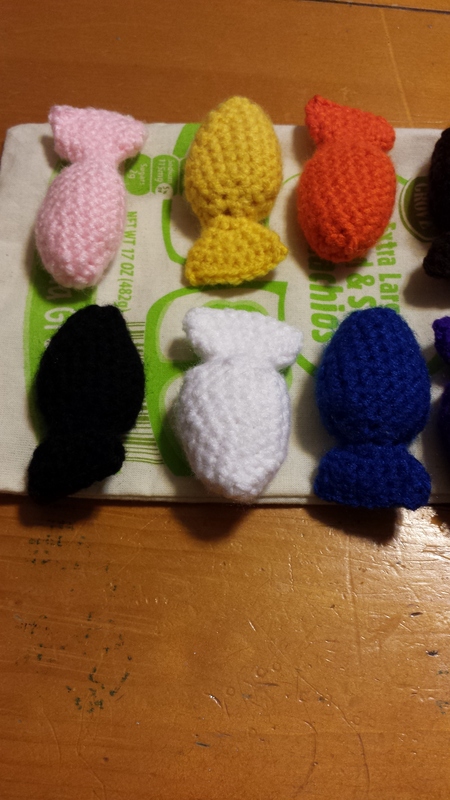 Here is the pattern I used. I modified it to leave out the mouth. A bookmark shaped like a tie. Pattern on ravelry. This is a learning toy, to teach counting and colors. Pattern on ravelry. It’s scarves from here on out. Pattern on ravelry. I turned the hat inside out because I thought it looked better that way. 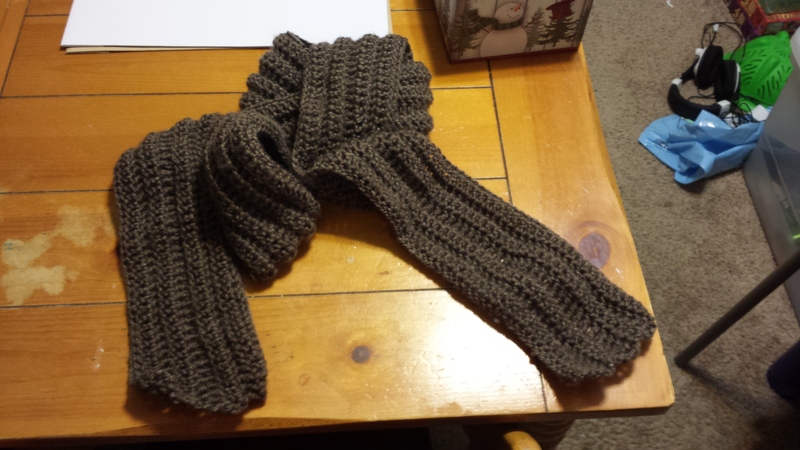 I hated working with this yarn, but it came out pretty nice, I think. 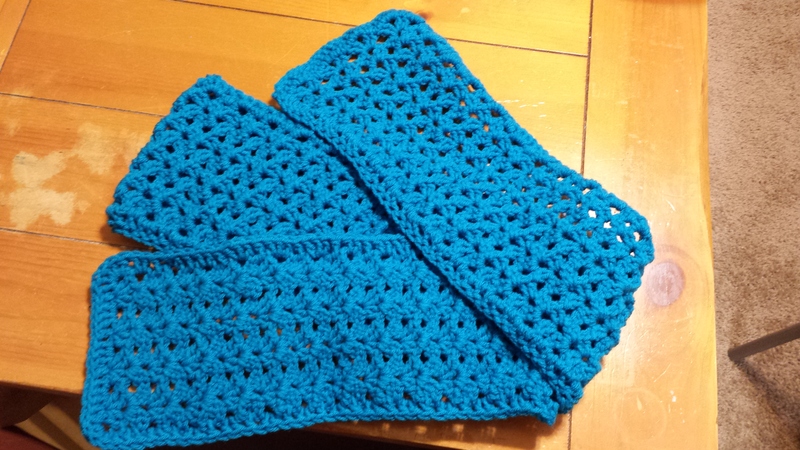 This is just double crochet, over and over and over. 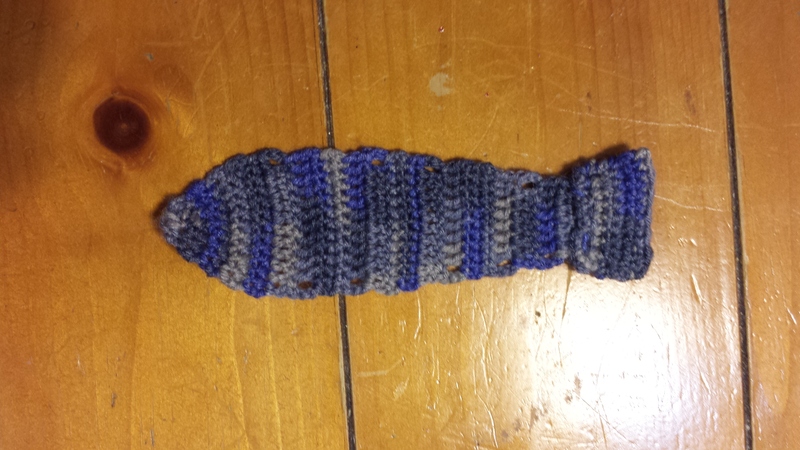 I used a variegated yarn, so it looks pretty nice even though there is no real pattern. 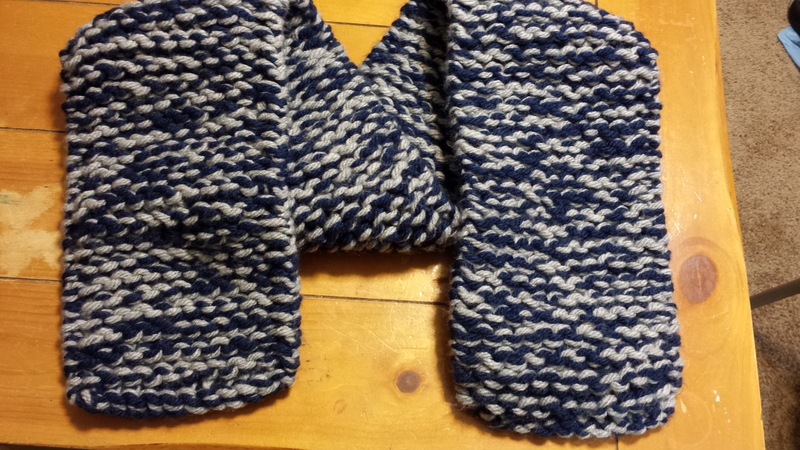 I liked this pattern so much, I made two. 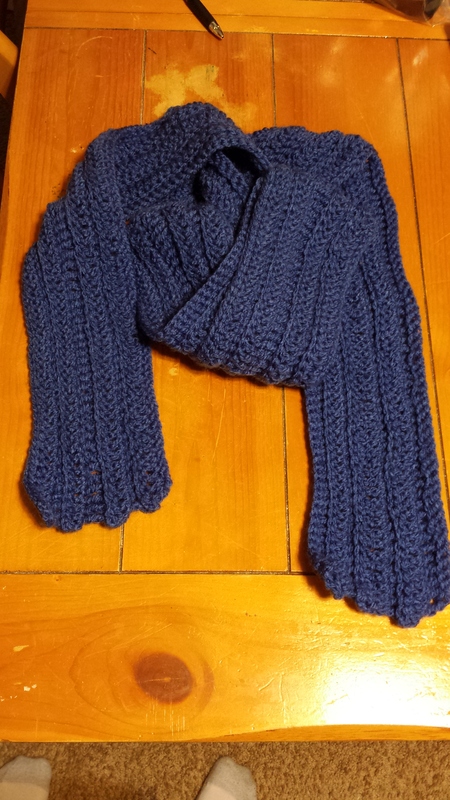 It’s called a Joseph’s scarf, and is on ravelry here. 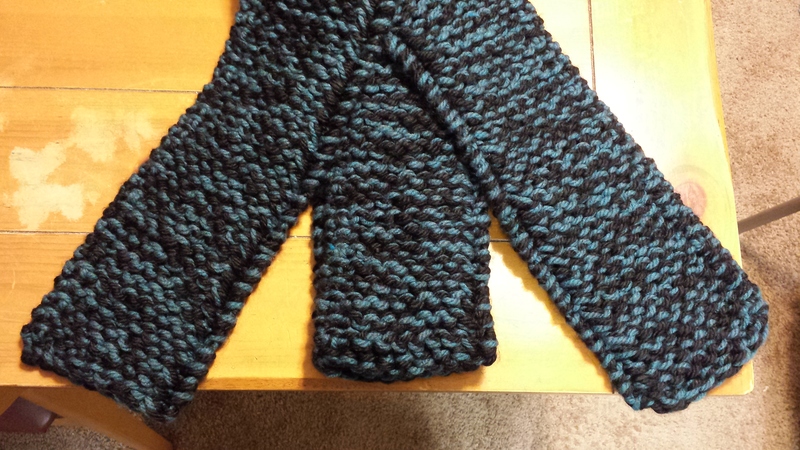 This is the other Joseph’s scarf. 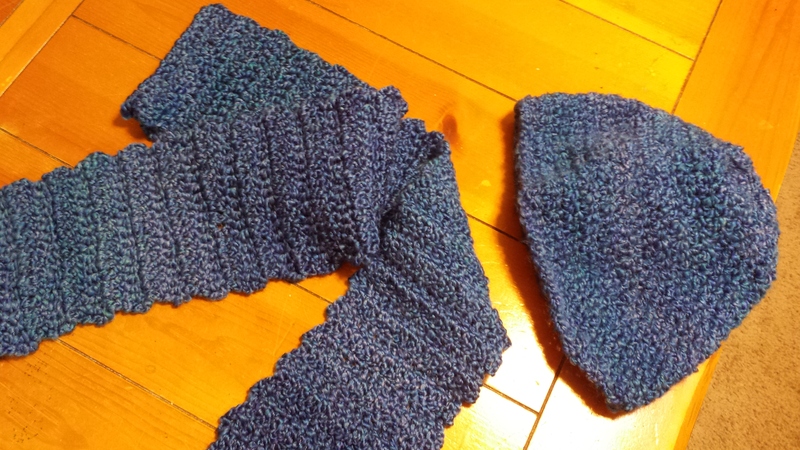 I love this color, and I’m a fan of this pattern, which you can find on ravelry here. However, I did not find it to be very well-written, and I had to study the pictures to figure out what to do. 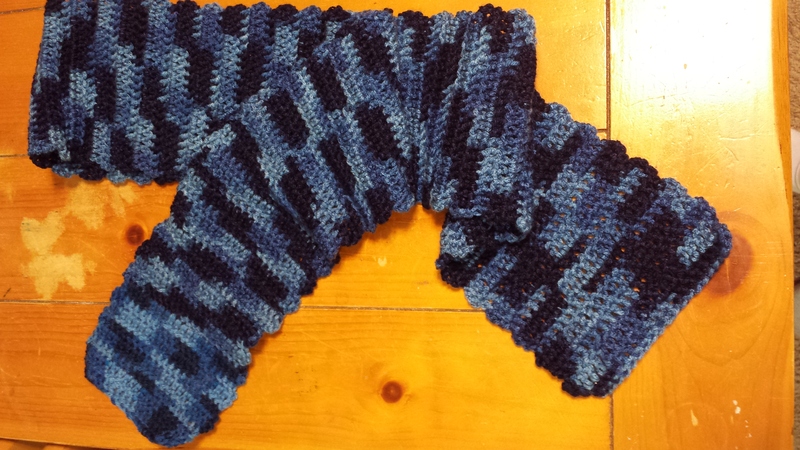 Here is another scarf I made of the same pattern, this time with a variegated yarn. 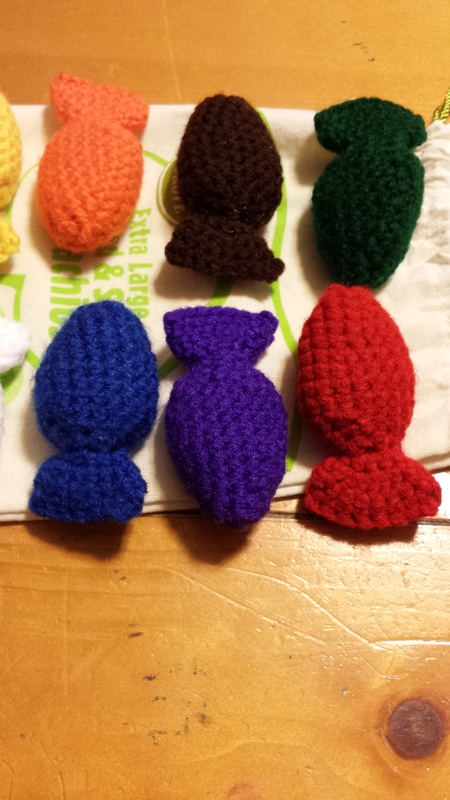 I think this particular pattern is better with a solid color, but it turned out alright. 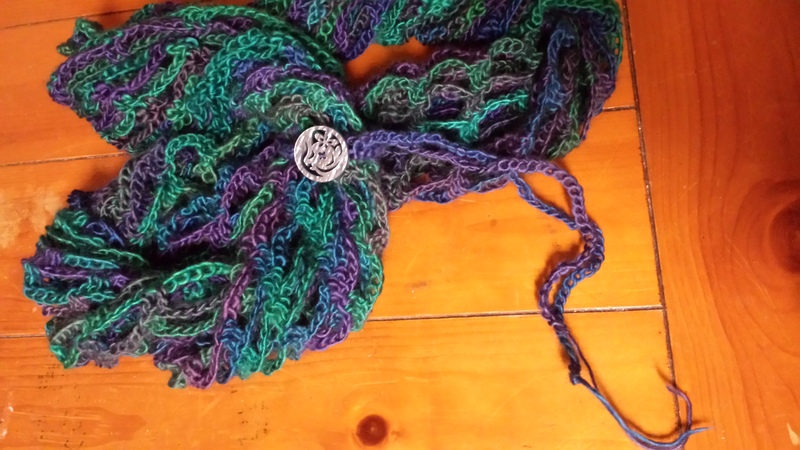 This pattern is called the Artfully Simple Infinity Scarf. I think it came out nicely, although twistier than I would have hoped. If I do the pattern again, I’ll be aware of that and act accordingly. 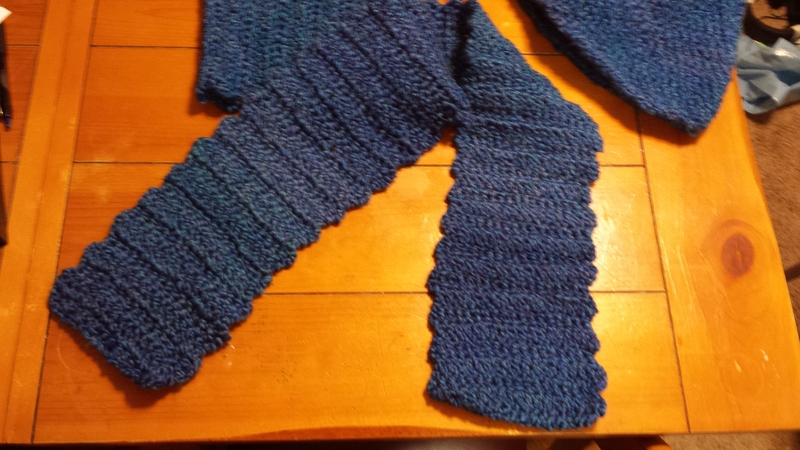 The rest of these scarves are based around this pattern on ravelry. 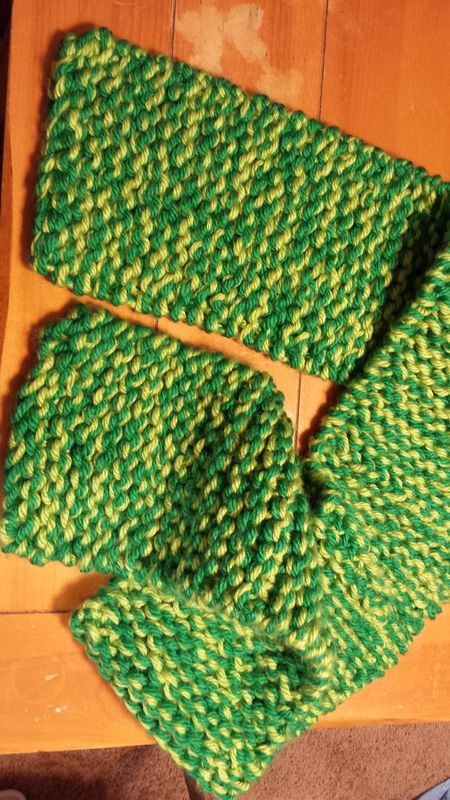 However, rather than size 5 yarn with 20 mm needles, I used size 6 yarn with size 19 needles. As you can see, the result is somewhat different! 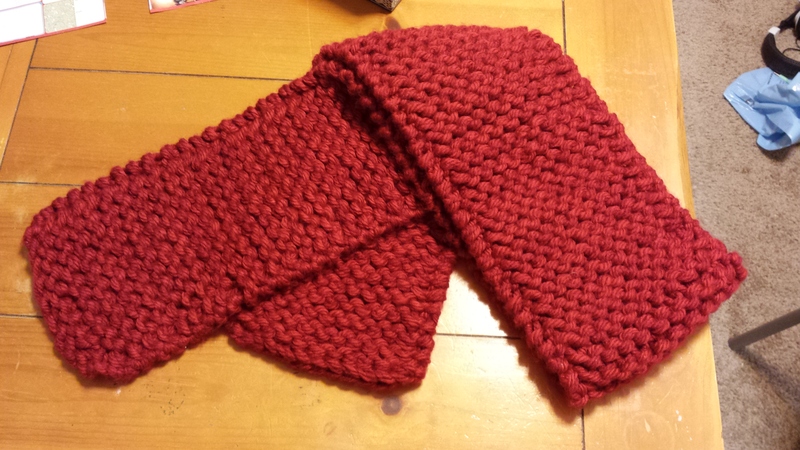 The picture of course does not show it well, but these are two shades of red. Green and more different green. Black and teal. 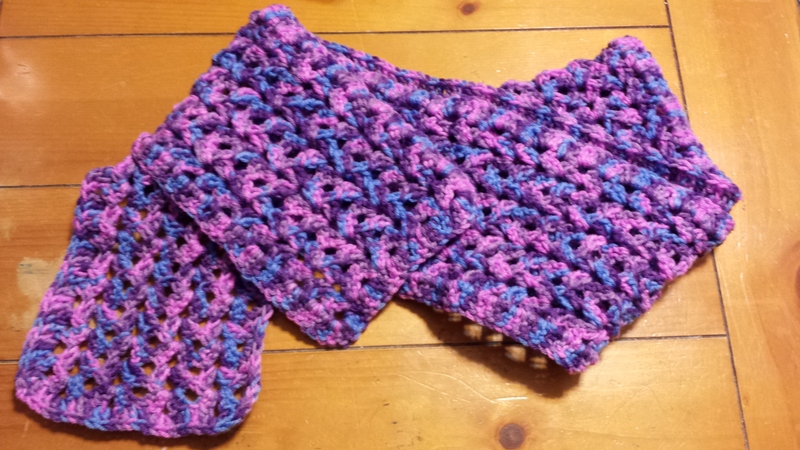 You may have noticed, but I did change the width for some of these scarves. Patterns are just a starting point! 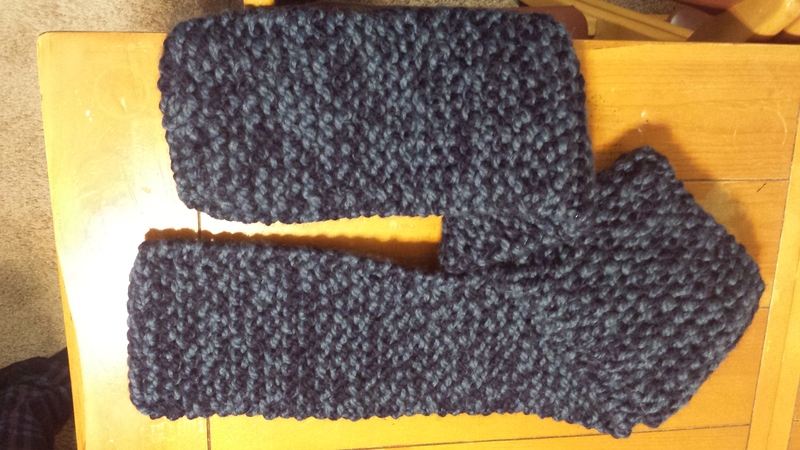 And finally, blue and gray.